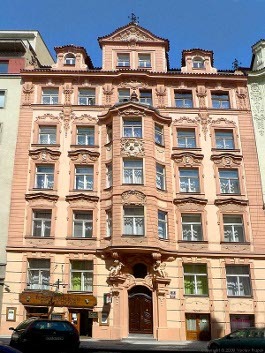 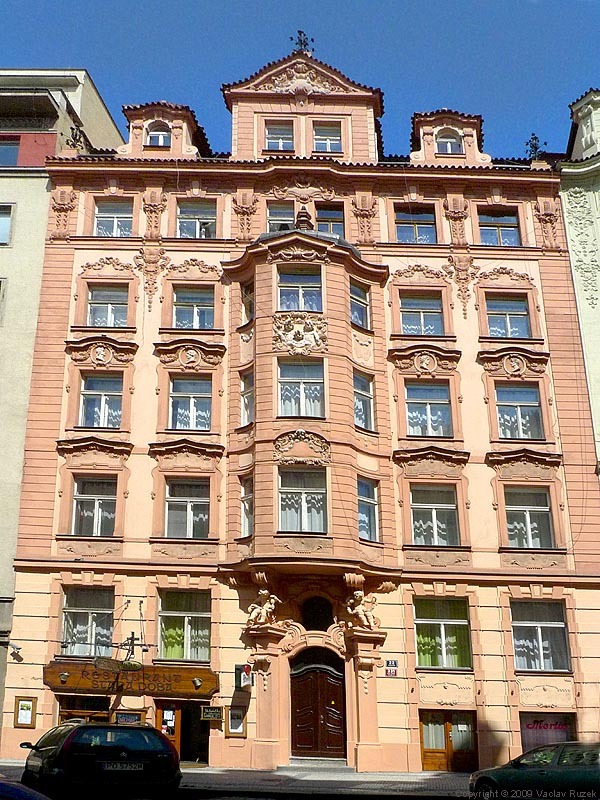 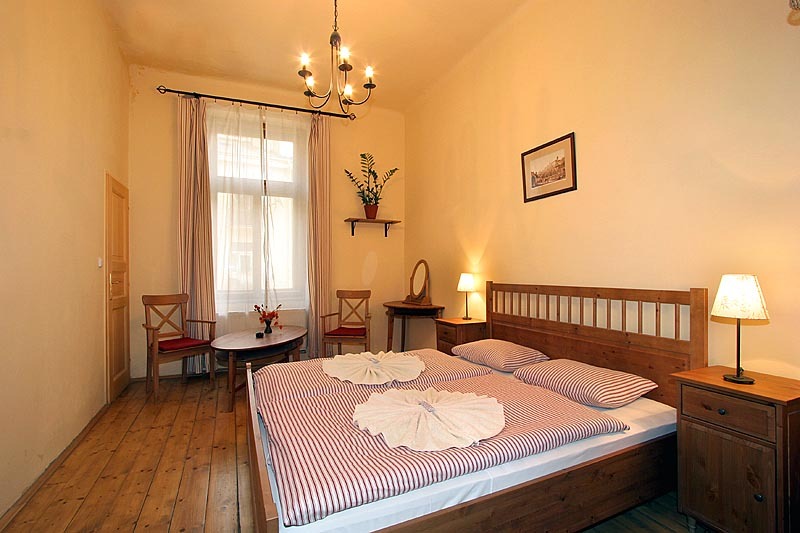 Merlin is a hotel with familial atmosphere located close the historical centre - between the Charles Square and the embankment of the Vltava river. 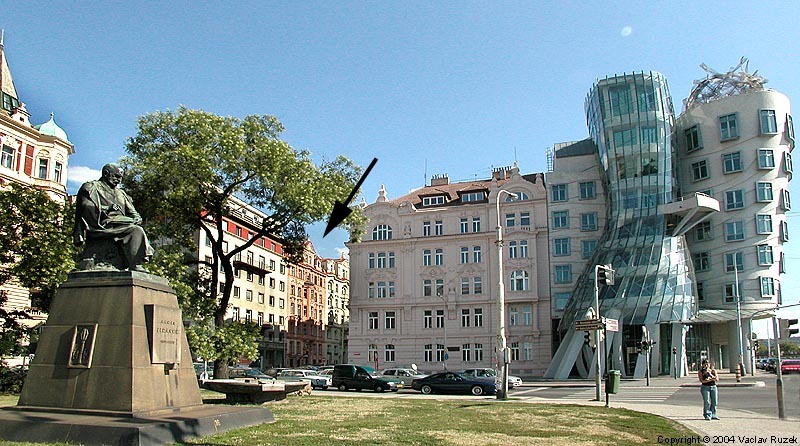 It is situated nearby the "Dancing House" - an interesting modern building designed by architects Vlado Milunic and Frank Gehry. The underground station "Karlovo namesti" (Charles Square) is 300 metres and the National Theatre is 700 metres from our door. 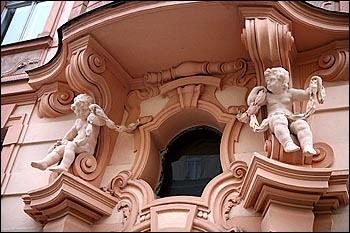 All historical buildings and monuments are not far away. 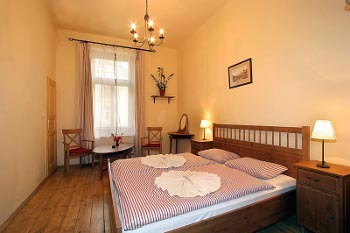 Charles Bridge and Old Town Square are 15 minutes walk. 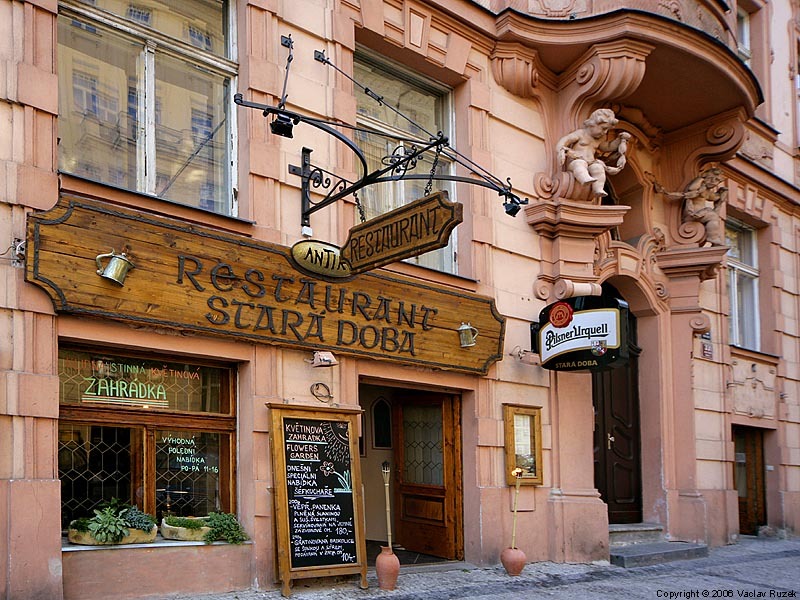 If you want to visit Prague Castle you can get there by tram (it takes 15 minutes) and Wenceslas Square you can reach by subway (it is 2 stops). 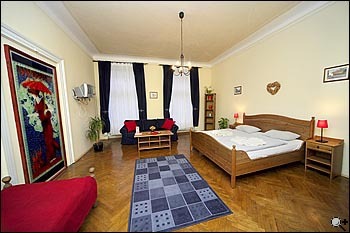 Hotel Merlin offers accommodation in 37 double and triple rooms and 2 quadruple bed rooms. The rooms are located on five floors (there is an elevator) and are all newly refurbished with tasteful furniture. 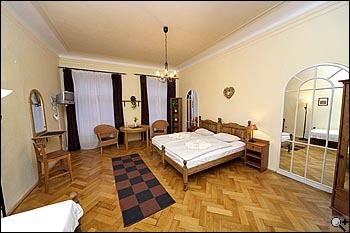 Except 2 rooms of category C all are equipped with new private bathrooms. 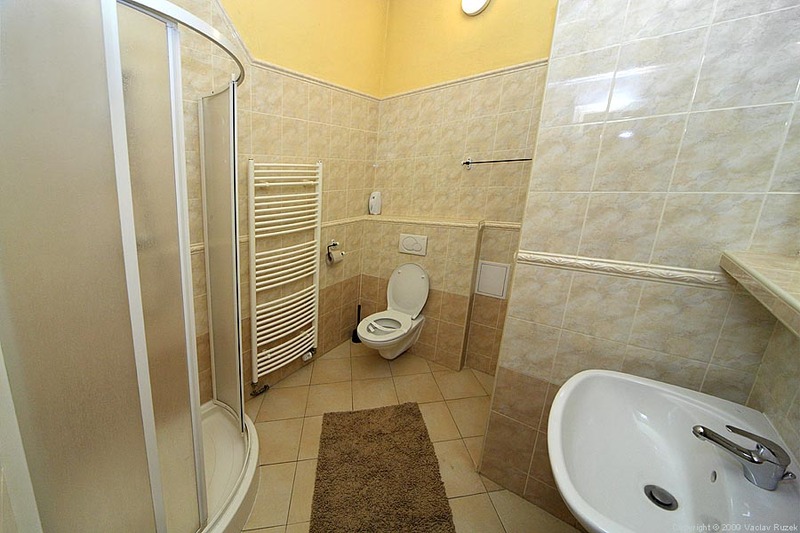 A great majority of rooms has ensuite bathrooms (category A), some rooms have private bathrooms on the corridor (beside the room, category B). All rooms are equipped with SAT TV and free Wi-Fi internet connection. On each floor there is a refrigerator and an electric kettle with crockery at disposal of our guests. 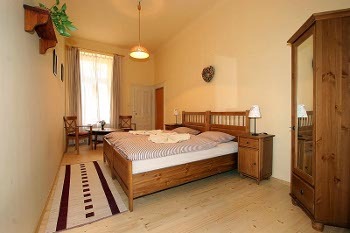 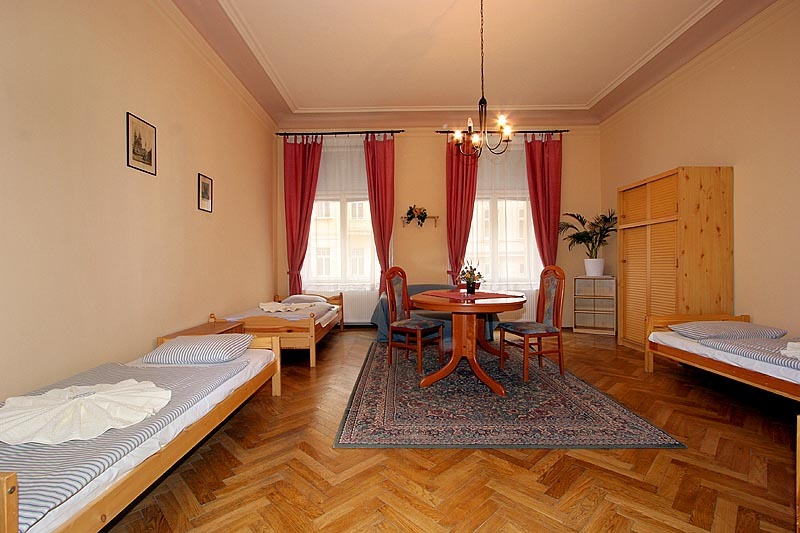 In the higher floor rooms you will be rewarded by view over the Prague Castle panorama. 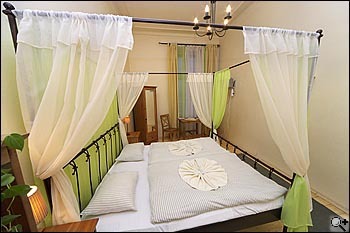 The suite no. 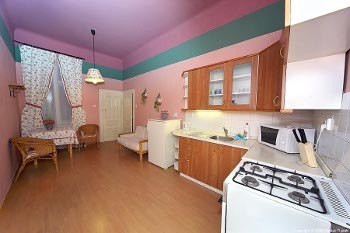 103 with kitchen and ensuite bathroom is located on the first floor. 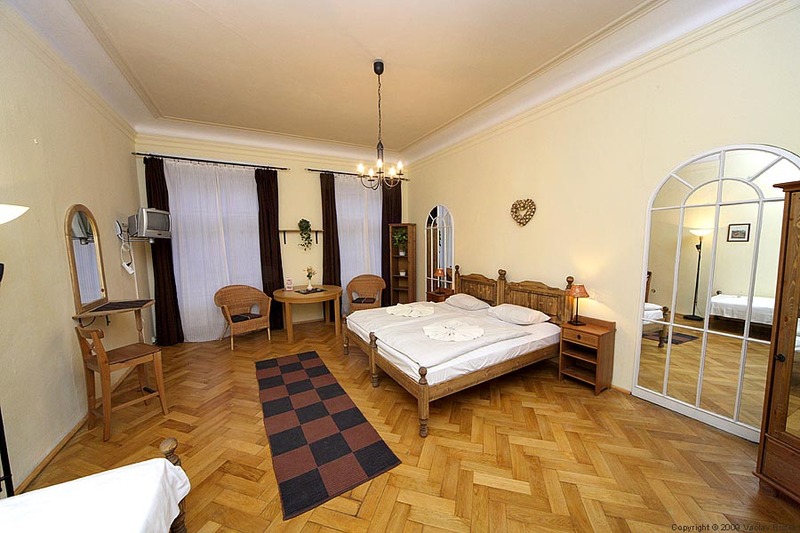 For small groups are suitable 2 large rooms no.101 & 102 (35m2, 4 beds in each room), sharing one common bathroom and toilet on the corridor (category C). 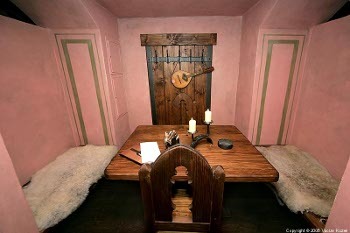 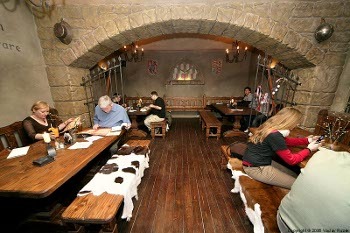 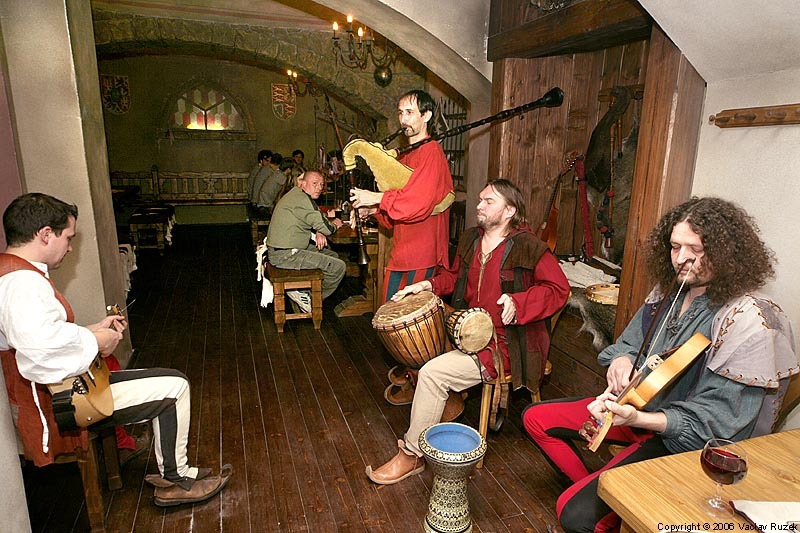 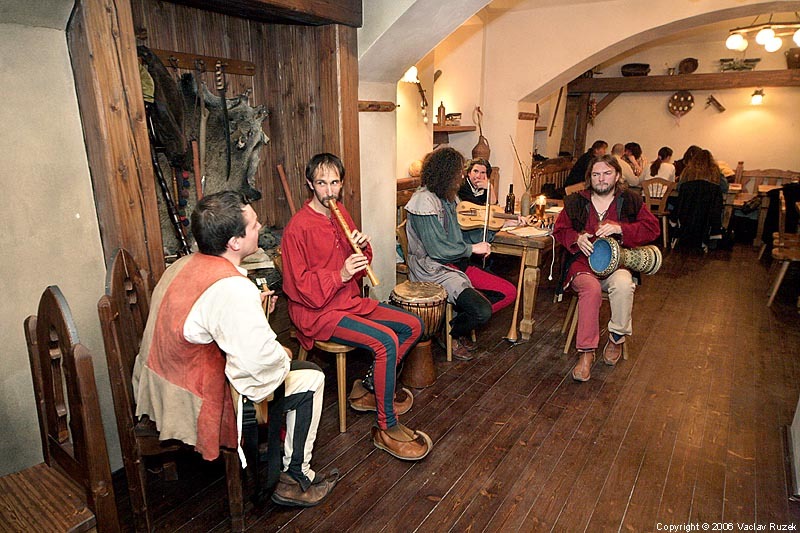 On the ground floor is located stylish restaurant "Stara doba" (Old Times) offering middle ages atmosphere, sometimes with original period live music. 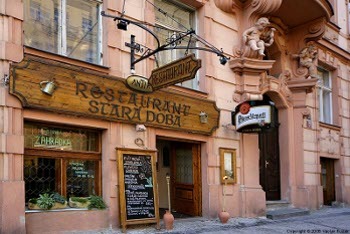 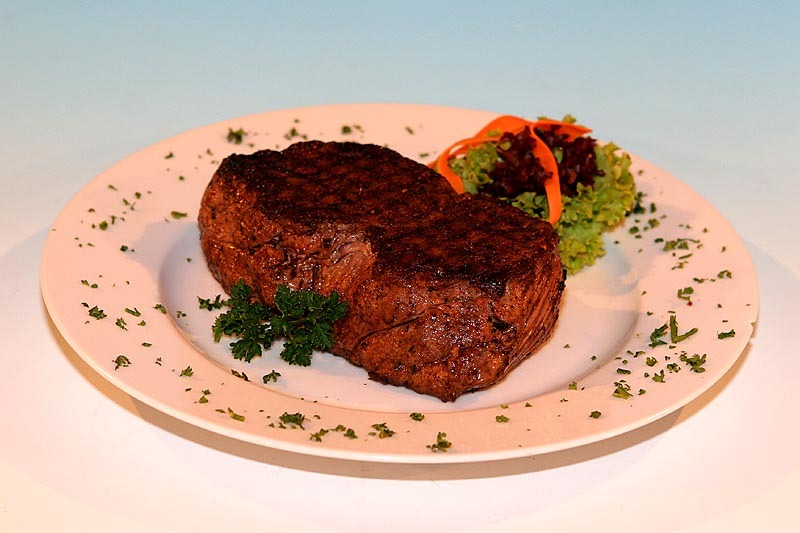 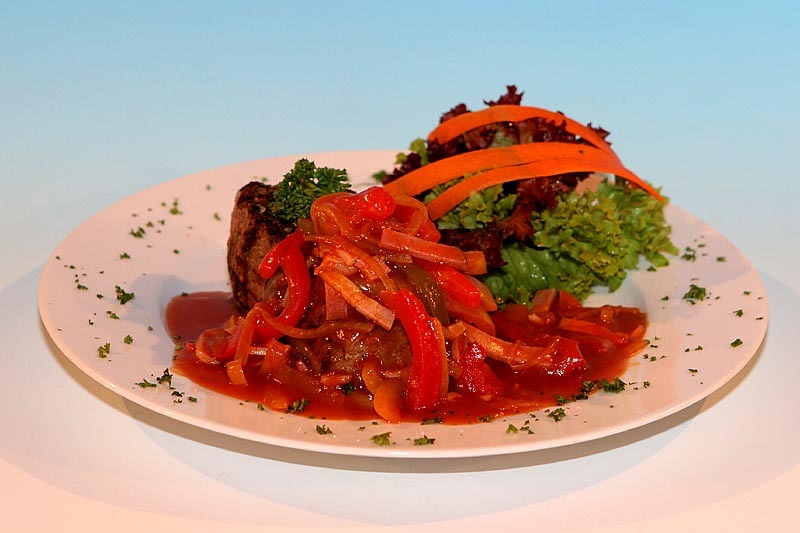 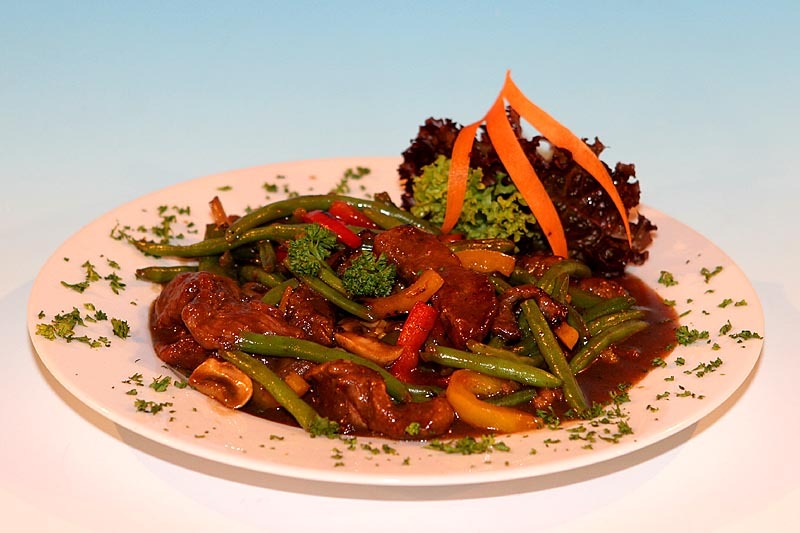 Daily fresh vegetable bar, Czech and international cuisine which uses ecological meat, great choice of wine from Czech republic as well as other major winemaking countries. 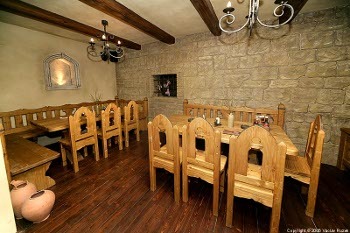 Each morning you can take a breakfast from 8.30 to 10.15 a.m. for only 90 CZK p.p. 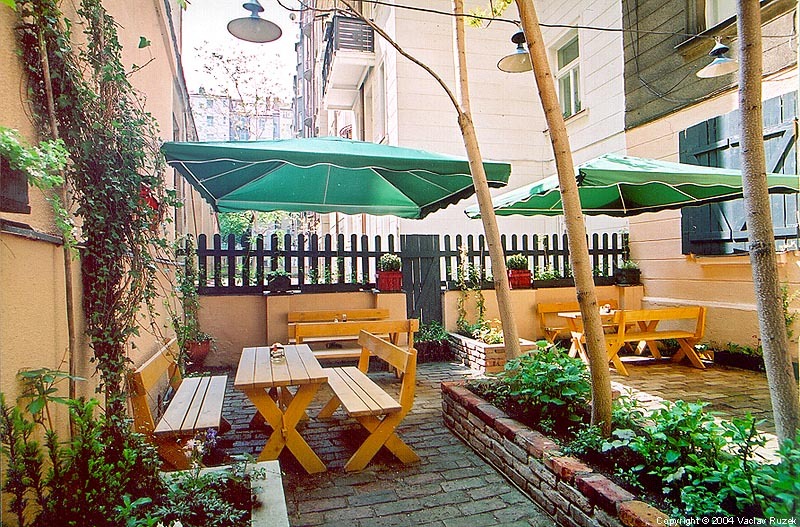 When the weather is fine you can relax in the shady garden embosomed with plants and flowers. 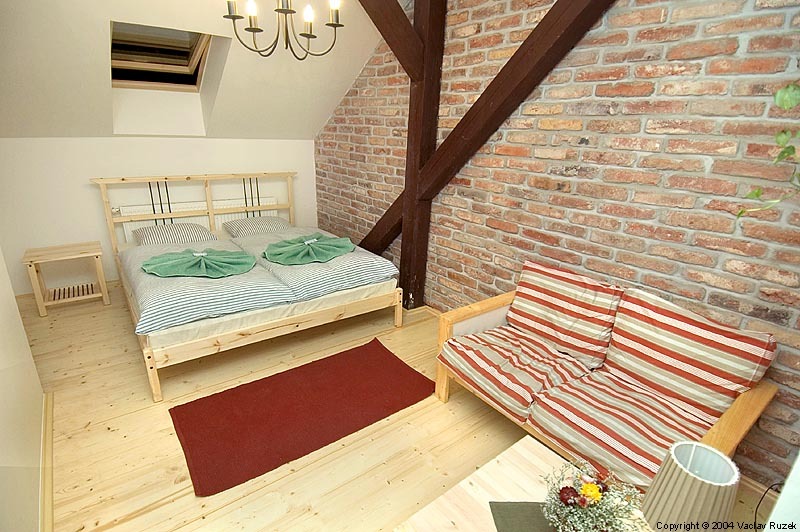 Parking is possible in the street for 200,-CZK/Day (necessary to order in advance) or in nearby Vaclavske garages - 200 metres from the guest house (it cost 500 CZK per day). 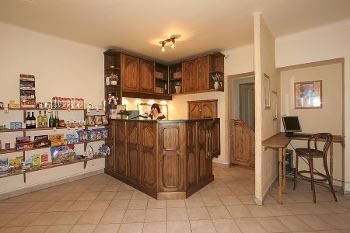 You are welcome at any time - the reception is open 24 hours a day, 365 days in year! 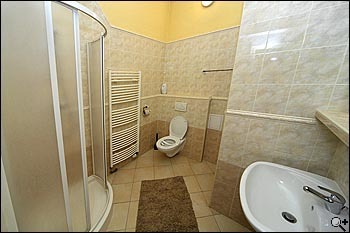 B - Rooms with private bathrooms. 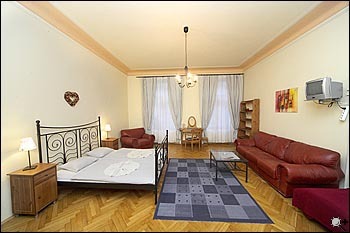 The hotel can arrange residential parking card from 10 EUR per day. 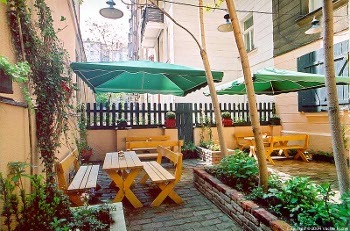 Or in nearby ( 100 m from hotel ) guarded garage in Vaclavska street for 20 EUR per day.